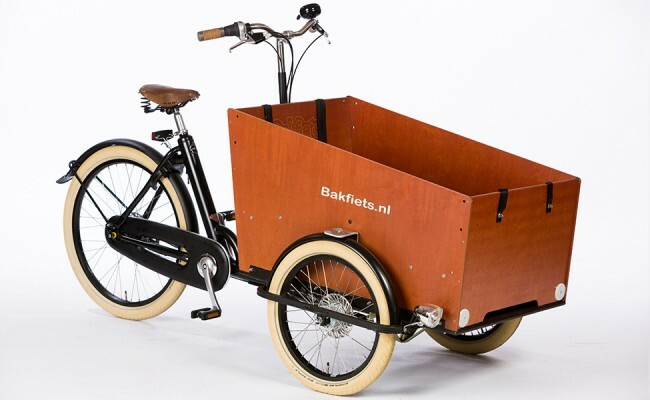 Welcome to the cargo trike by the legendary Bakfiets.nl. The trike has the most room out of all of our cargo bikes, with the standard box being able to safely accommodate 4 children and cargo or a modified box to carry up to 6 children! 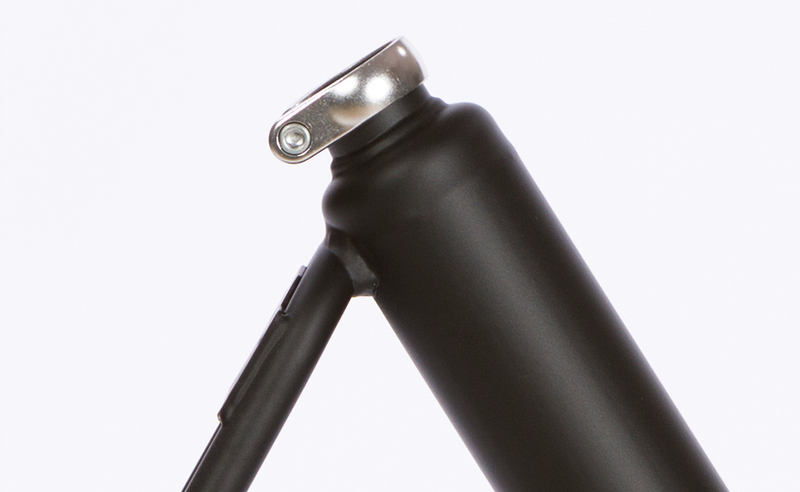 The other advantage of the trike is you don’t need to put your feet on the ground to stabilize. 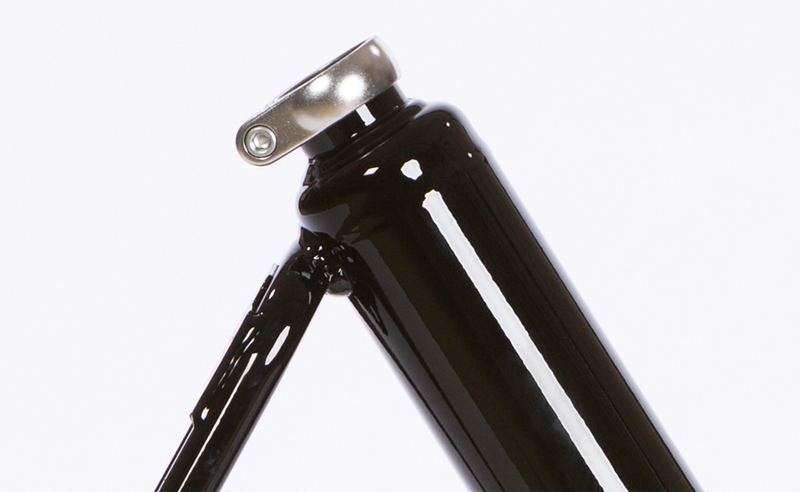 The wide version is 10 cm wider then the standard cargo trike (210cm long by 95 cm wide). 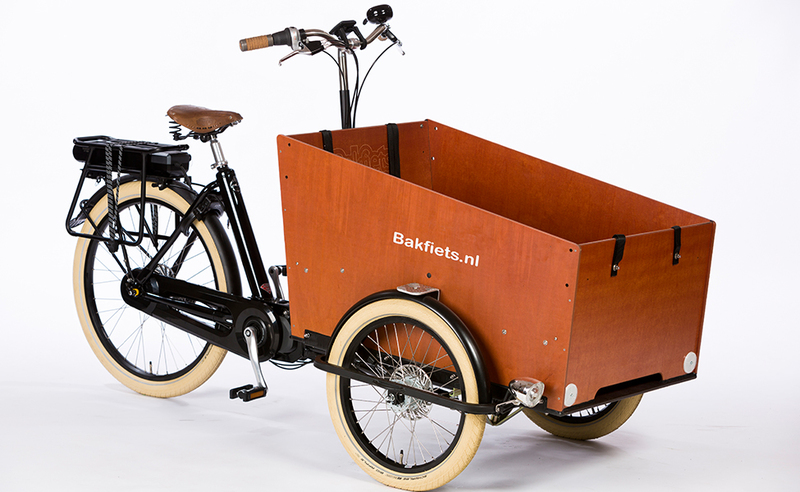 The cruiser variant includes a cream coloured balloon tire package and unique styling cues to the traditional Bakfiets.nl cargo bike. 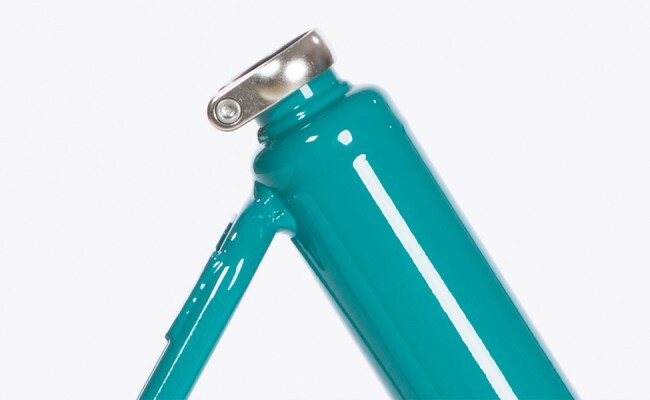 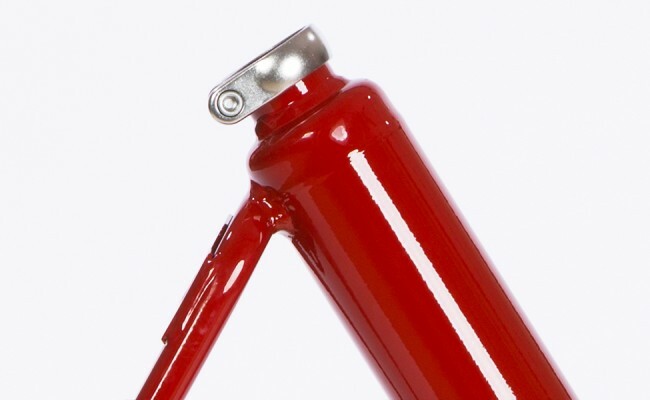 Brooks saddle and grips with frame colour match fenders make this model stand out from the pack. 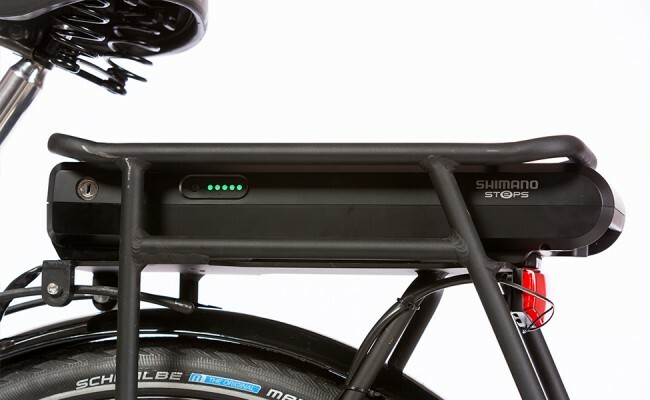 The rear carrier is removed to leave a sleek back end that further differentiates this model. New for 2016 is the Shimano STEPS mid-drive electrification option. 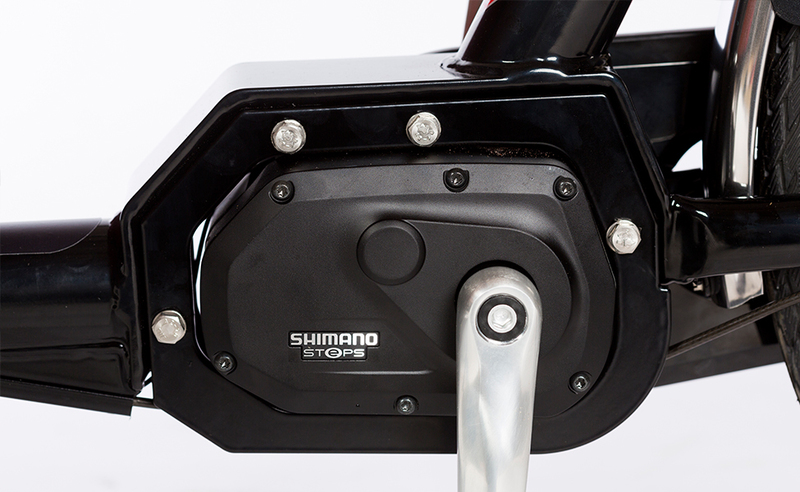 Nestled within a purpose built frame, the drive and crankset unit is the heart of this game changing system. 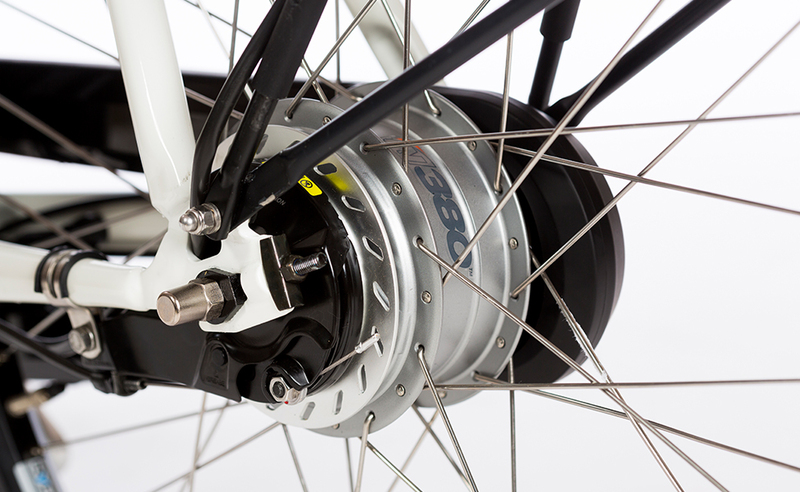 The power is then transferred back through the chain and rear hub where it gains the benefit of the gearing of the internal hub. 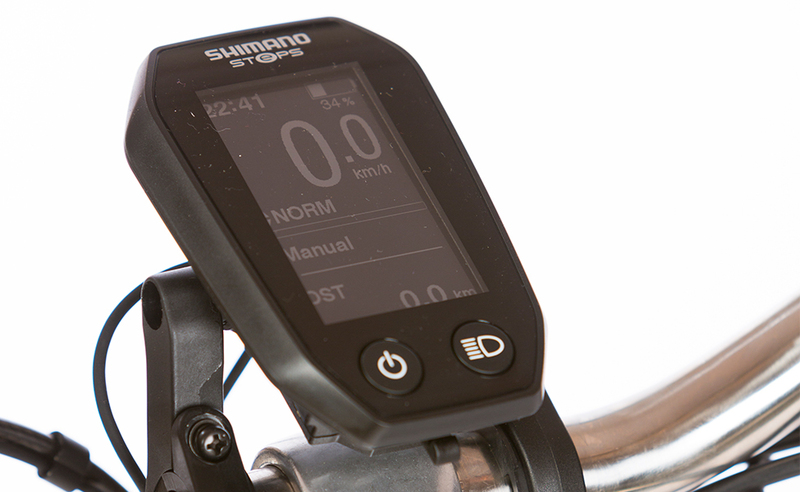 The combination STEPS drive unit and the Di2 internal gearhub enables you to use the fully automatic shifting function. Torque, speed and cadence are monitored to automatically and smoothly shift to the right gear. You can switch back to manual shift whenever you want.